Anyone walking, cycling or riding should also use a map that shows the paths and field boundaries, for example the Ordnance Survey “Explorer” series of 1:25 000 scale maps. This 100-mile path starts at Kingsbury Water Park in the north of the county and winds its way down to Upper Quinton on the Gloucestershire border. The route can be followed on ordnance survey explorer maps. The 100-mile Millennium Way cuts through the centre of England. The Heart of England Way is a 100-mile trail linking the Staffordshire Way the Cotswold Way and the Oxfordshire Way, it runs from Cannock Chase to Bourton-in-the-Water in the Cotswolds. The way forms part of the E2 euro route which runs from Athens to Stranraer. A 26-mile circular walk around Henley-in-Arden and Alcester called the Arden Way. A 40-mile long trail in the Warwickshire and Solihull countryside circling the city of Coventry. The way is managed by the A Coventry Way Association who hold an annual challenge walk each year. The association has also developed a series of 21 short circular walks based on the way with a new guide available from the association. 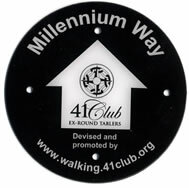 Devised to support the Macmillan nurses this is England’s third longest long distance path. The Macmillan Way follows the course of an oolitic limestone belt, using existing footpaths, bridleways and byways, and short stretches of minor roads. The Monarch’s Way is a long distance walk (615 miles) from Worcester to Shoreham, passing through south Warwickshire. A 21-mile circular walk linking eight villages around Southam. 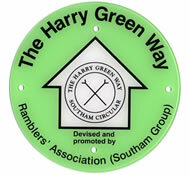 The guide was produced in memory of Harry Green who was the chairman of the Southam Ramblers for 20 years and who devised the walk in 1988.